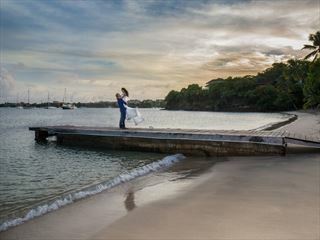 Grenada is ideal if you want a wedding break that is on the quieter, more laid-back side. This small Caribbean island remains unspoilt and largely undeveloped. 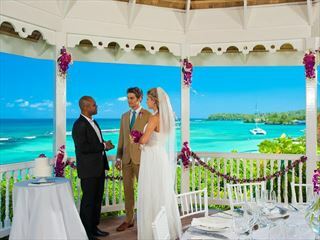 Known as the "Spice Island", Grenada promises you warm, pleasant breezes carrying the scents of nutmeg, cinnamon, cloves and ginger, adding that extra sensuous layer to any beachside ceremony. If you and your partner are nature lovers then exploring the mountainous terrain surrounding Mount Saint Catherine during your wedding stay is a must, where you can also enjoy discovering the wonderful crater lakes and tropical rainforests. 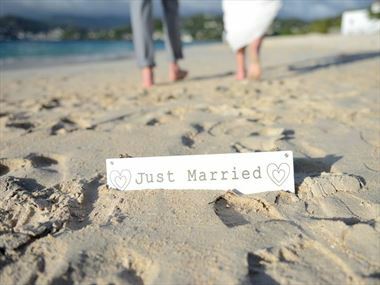 It’s easy to see why weddings are so popular in this secluded island, sprinkled with luxurious holiday resorts. Call one of our wedding experts at Tropical Sky to find out how we can make your special day an unforgettable experience. On the Caribbean island of Grenada, known worldwide for its exceptional natural beauty, long white sand beaches and tourquoise sea, is the luxury boutique hotel, Calabash. 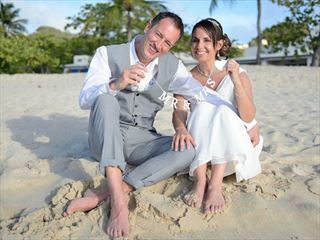 Why book your Grenada Wedding with Tropical Sky?